The recent drought that has crippled the farming industry across Southern Africa has highlighted the importance of water preservation in any form. Every effort must be made to preserve our water supply even when potable water is abundant. Even the smallest efforts matter and make a difference. A simple solution to preserving the quality of water and minimizing water loss in dams to preserve it for use is to use a good quality dam liner. Dam liners are also essential for repairing dams. HDPE or High Density Polyethylene is used to make a thick waterproof plastic sheet for lining of dams. HDPE is a geomembrane liner which is used for solid waste containment, mining and water containment. Geomembrane is a synthetic product engineered using geotechnical ingredients to produce a low or non-permeable synthetic membrane liner. These are used as dam liners amongst other applications. Dam liners at the bottom of the dam or pond will help to stop seepage or leaking of water into the surrounding soil. It also reduces evaporation and external contamination when used as a dam cover. Our HDPE liners are made of premium quality high density polyethylene (HDPE) with chemically produced polyethylene resin. Our tough geomembrane liners are suitable for all conditions and are UV resistant. 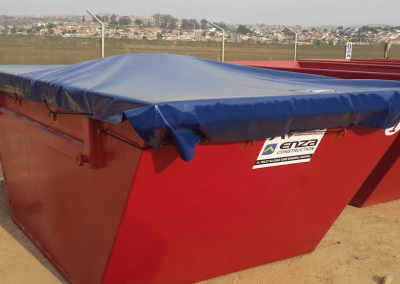 Geomembrane liners are also perfect to use at the bottom of a landfill as a landfill liner to stop seepage of waste into the ground. They can also be used as a landfill cover or at the bottom of a sewage treatment plant to stop seepage into surrounding soil. Our geomembrane liners are used in the mining, agriculture, aquaculture, civil engineering, construction, petrochemical industry successfully. These liners are perfect for use in landscaping projects. They can also be used for environmental protection and sanitation. Concrete, asphalt and compacted clay are commonly used for repairing dams as well as in the construction of dams. Traditionally, dam repair methods and the solution for water seepage used to be lining an earthen dam with compacted clay. This was done by using a special method to compact the clay and place it around the edges of the dam to make the water in the dam impermeable. This method is costly, labour intensive and time-consuming. Another method that has been used in the construction and repair of dams has been concrete and asphalt which is also costly, labour intensive and time-consuming. 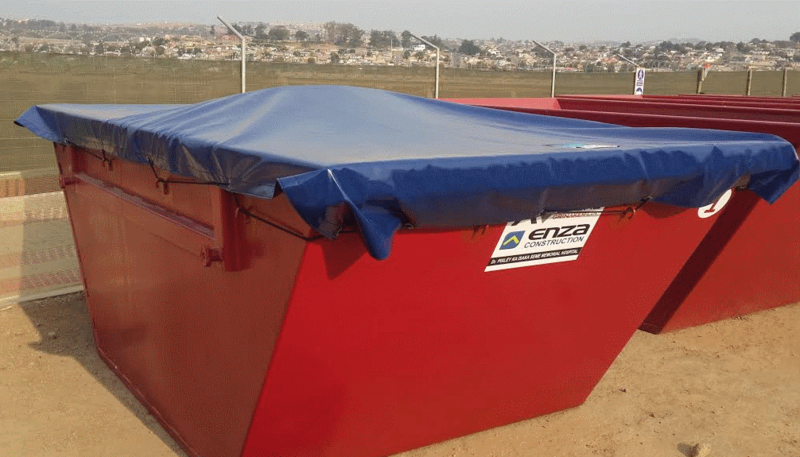 New research has revealed that geomembrane HDPE Liners are more cost effective, durable, eco-friendly, chemically resistant and easy to transport. In addition to this it is the quickest, cheapest and easiest method to repair a dam or build a new dam. Some dams may require pre-lining due to a rough landscape. This protects the dam liner from any damage occurring from the bottom. These are usually a PVC mesh net or reinforced PVC. There are lots of cost effective methods of pre-lining a dam. For smaller earthen dam projects, ponds and water features PVC liners can also be used. It is important to note that while plastic is bad for the environment there are certain types of plastic based products that can actually conserve resources and protect resources without damaging the environment. Geomembrane technology derived synthetics is one of them when used as dam liners, covers and for preventing seepage of dangerous chemicals into our ground and water. In addition to this potable water is not affected by a geomembrane lining. The quality of the water is actually protected by geomembrane liners. 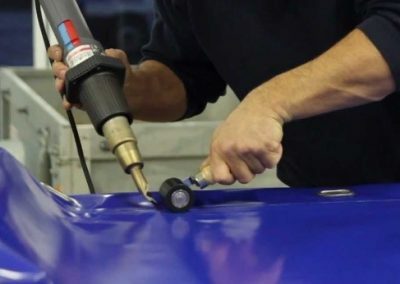 Geomembranes are impermeable and can also be used to contain waste and chemicals. It is especially important in containing petrochemicals during emergency situations so they do not damage the environment. We also offer EPDM rubber pond liners, which are perfect for use in koi ponds and aquaculture. Rubber pond liners are known to hold water for decades and not have any significant damage. EPDM means Ethylene Propylene Diene Monomer and it’s one of the best materials to use to line a pond. 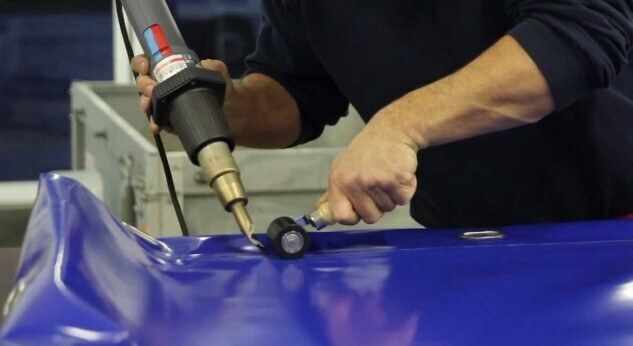 EPDM is a synthetic rubber engineered to be very flexible and durable. EPDM is water resistant and safe for fish and aquatic plant life so you don’t have to worry about the contamination of the water. The material is also environmentally friendly. EPDM rubber liners are durable, highly flexible, and resistant to temperature fluctuations. They have stretchibility that withstands sudden and extreme temperature changes in the water as well as pressure. They are ozone, abrasion and tearing resistant as well. These liners are also very easy to repair. They can be used to construct fish ponds, shrimp ponds, small lakes and other water features like fountains for homes, hotels and resorts. 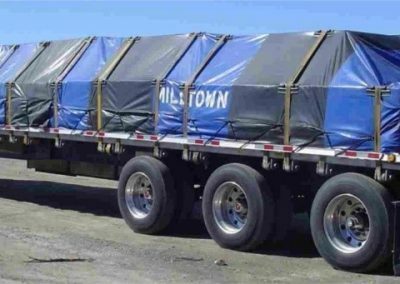 Cargo Tarp and Net supplies and manufactures high quality geomembranes, rubber pond liners and PVC liners. These can be used as farm dam liners as well as for other applications. Dam liner prices are far more reasonable than lining a dam with clay. We can customize your dam or pond liners to your requirements and always ensure the highest quality control. If you are wondering how to patch a hole in an earthen dam, we can help you. Our helpful team are here to give you expert advice on the best products to suite your needs. Our passion lies in producing quality products and providing excellent customer service all the time. We ensure that our clients receive the best quality products, service, after sales service and prices consistently. Contact us today for the best dam lining and pond lining solutions.